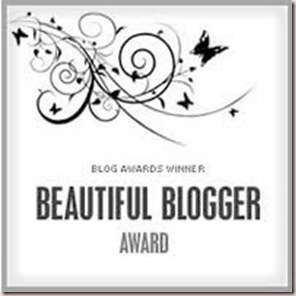 Wow, fellow CDS DT member Lisa gave me this awesome blog award! I am so blessed! What a sweetheart! Thank you so much. Now I have to give this to 10 bloggers I think are beautiful and list 10 things about me. 1. I used to sew custom bras but don’t anymore because after so many bras, one looks just like the next… boring. 3. I know about the genetic stuff because I used to be a Registered Nurse. 4. I no longer work as a Registered Nurse because I have lupus (see sidebar for link). I am still registered but I can’t work. 6. I crazy LOVE sour candy! 7. I listed how many crafts I’ve tried (and managed to learn decently) when I applied for a job as Craft Reporter with Craft Critique. It was over 30! I love learning new things and moving on. Only paper crafting/stamping/scrapping and sewing have taken for any length of time. 8. I love almost any genre of movie. Anything from romantic to horror including and especially zombie movies to action and ‘guy’ flicks. It has to be Satanic/demonic before I won’t at least check it out. 9. Hubby is taking the little one to his parents and the older one is on a trip with nana so I can watch any movie I want this weekend!!!! Oh gosh, thanks for the compliment! I am so sporadic in posting, feel like I don't deserve it, you are super kind! Interesting facts about you, I remember seeing the link from before on the homestitched bras, now THAT is talent!